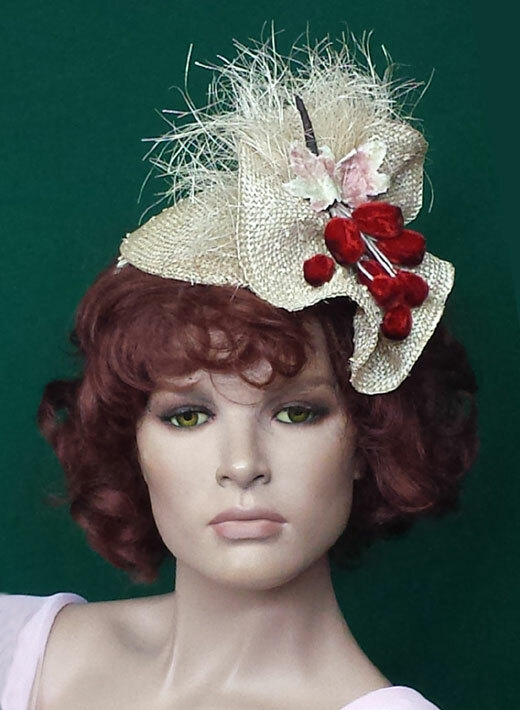 STRAW-BERRIES is made from natural knotted sisal straw- Sweet Velvet strawberry spray adorns the small topper. 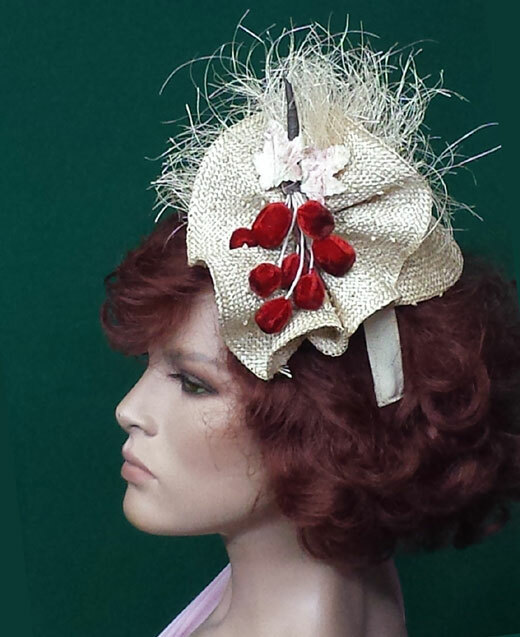 A perfect little hat for lunch, dinner, cocktails -- Dress her up or wear her with jeans! Grosgrain covered headband holdsyour fresh, STRAW - BERRIES in place. Light and EASY to wear.